We all want to have a lovely home. A home that has all the trappings of luxury and one that accurately portrays our individual style. 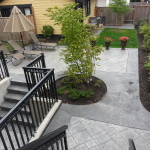 When it comes to building the most attractive patios, driveways, sidewalks, pool decks and most of all, interior flooring, The Vancouver Concrete Connection has the best stamped concrete workmanship record on this side of the globe. 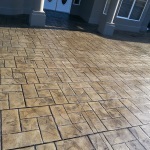 Whether you want your surfaces to resemble flagstone, wood, tile, slate, brick or stone, our stamped concrete experts can help realize this vision. We have dedicated over fifty years of exemplary service to every single one of clients. This wealth of experience and expertise makes us your best option when it comes to home surface construction. We take every contract very seriously and only use the best of our builders. 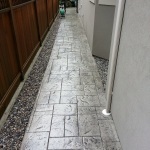 As evidence, you can see images below for some of our finest stamped concrete work done in Vancouver for residential and commercial clients.